TemplateToaster is best known for designing templates. Based on users’ experience and self experience, here is the details insight on designing eCommerce themes with TemplateToaster. The TemplateToaster is a well known template generator, or many times also called template creator. We put the tool to test is it worth for creating eCommerce themes. Here is a short summary of the complete review. • Good for designing eCommerce themes- Provides many designing options. • Covers two Major ECommerce solutions- Magento and Prestashop. 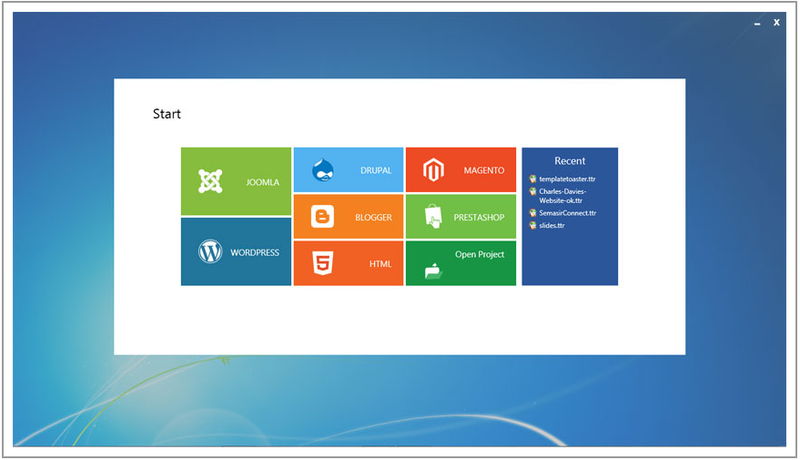 • Perfectly Compatible with VirtueMart (Joomla!) and WooCommerce (WordPress). • Offers many sample templates that are customizable. • Ready for mobile commerce because it is responsive and ensures mobile browsers compatibility. • No messy programming code is generated, code quality is the best. TemplateToaster have made its place among the code automation tools. Already there are so many users, who give good reviews about this software tool. With the launching of new version, more people have downloaded the software this year. The users never lie, they speak up their experiences truly. Based on their good reviews and self experience, I would say, this is a great tool. Cleaner code ensures the search engine friendliness, when you hear that TemplateToaster is search engine friendly that means it generates clean code. A precise code is generated by the tool. That is why the designed themes carry lightweight, and hold the potentials to get load faster. Owing to plentiful options, it is possible to design polished eCommerce themes as if they have been made by professional designers. This is absolutely possible to design themes according to the latest designing trends. You can show up labels, discount coupons, alert messages beautifully. Further, you can keep the slide-show in the header with pagination and different transition effects. There are a lot of options, see the video that is depicting the options. Magneto and Prestashop are two best capable eCommerce solutions that are being run by millions of business owners throughout the world. No doubt both are good, but their development cost is also high. TemplateToaster is a DIY (do it yourself) tool that could save a lot of designing-development cost for the online store owners. A lot of things are eventually handled by the eCommerce solutions and this tool rest of the matters pertaining designing. Apart from the dedicated eCommerce platforms, some people (e-store owners, actually) have their stores developed on WordPress, as a famous plugin known by the name WooCommerce can turn the WordPress into an eCommerce solution. In that case also, TemplateToaster is a good solution since it produces WooCommerce compatible themes. Just like support for WooCommerce, TemplateToaster also exports VirtueMart compatible templates. The VirtueMart is a top eCommerce extension for Joomla! content management system. When you export the templates, in the end of accomplishment of designing, you can choose to have VirtueMart compatibility with your template. You can view the responsive style of your templates while designing them through TemplateToaster. 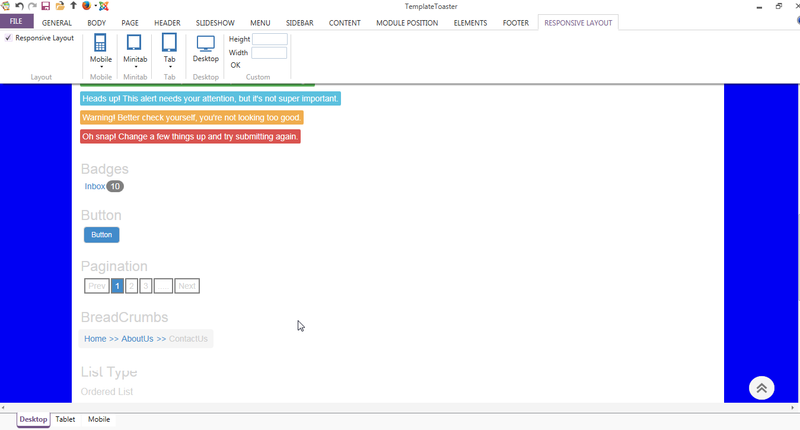 Owing to encode in HTML5 and CSS3, your themes will occur perfectly responsive. While you can view a theme in responsive mode, you can edit it as well. That means, without making a different theme for your mobile and tablet visitors, you can provide different designs to the viewers using mobiles and tablets than desktop design. The developers’ support is a plus point for the users. Though, TemplateToaster is an easy to use tool, if anytime a user seems getting stuck at a point, support staff is ready to help. They quickly react to the users’ queries. Besides, they have a big user forum, where TemplateToaster users put up queries, reply to others, and request new features. To conclude the review in a few words, I would say that if you have been thinking if TemplateToaster is good for you, then you should go ahead with it. It is really good for non IT e-shop owners for being easy to use and responsive support. TemplateToaster understands the needs of shop owners, they need to have such a website which would load faster on shoppers’ devices, and thus it creates lightweight themes (as I have already said that it generates clean code). Moreover, it is search engine friendly.